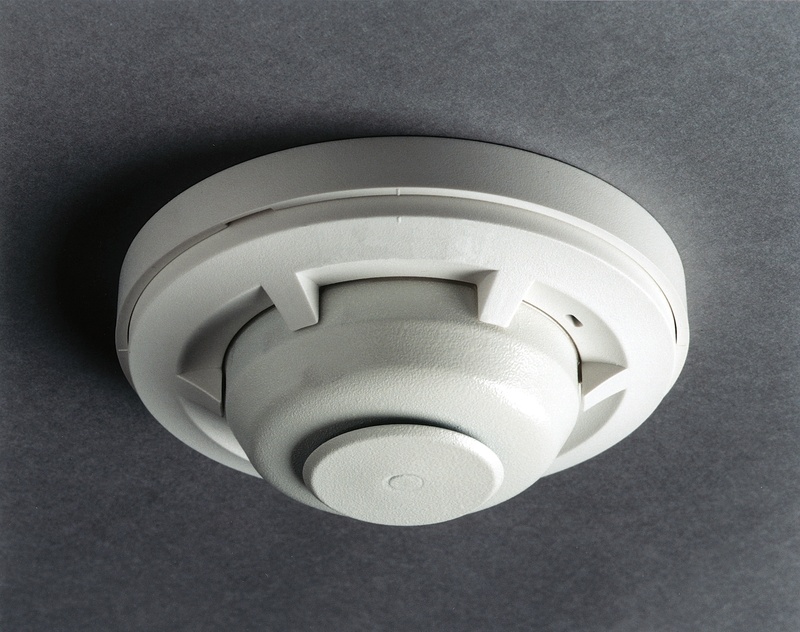 The System Sensor® 5600 Series mechanical heat detectors offer a low-cost solution for property protection against fire and protection in conditions where the non-life safety installations may not require smoke detectors. The 5600 Series offers both single and dual circuit models. Each model is available with low or high temperature ratings, and fixed temperature or rate-of-rise activation. The rate-of-rise element is restorable to accommodate field testing of the unit. The detectors mount readily on single gang or octagonal backboxes. They can also mount on a four inch (10.16 cm) square box with the support of a square to round plaster ring. The mounting bracket is reversible to allow for flush and surface mount installations. The 5600 units provide clear markings readily visible on the unit to ensure the proper application. Alphanumeric characters identify the type of detector and temperature rating, both in Fahrenheit and Celsius. Fixed temperature models are labeled “FX,” while the combination units are marked “FX/ROR”. The detector also features a positive indication of actuation of the fixed temperature portion. The collector disc drops from the unit making it readily identifiable. Offers an attractive low silhouette design. Uses single and dual circuit models. Has a fixed temperature and combination, or a fixed temperature/rate-of-rise activation. Displays readily visible alphanumeric markings. Includes a standard 3.5” (8.8 cm) or a 4” (10.16 cm) octagonal mounting. Installed as a single gang or a standard 4” (10.16 cm) square mounting with the support of a plaster ring.